Clothing, jewelry, animal remains, ceramics, coins, and weaponry are among the artifacts that have been discovered in graves in Gaul dating from the fifth to eighth century. Those who have unearthed them, from the middle ages to the present, have speculated widely on their meaning. 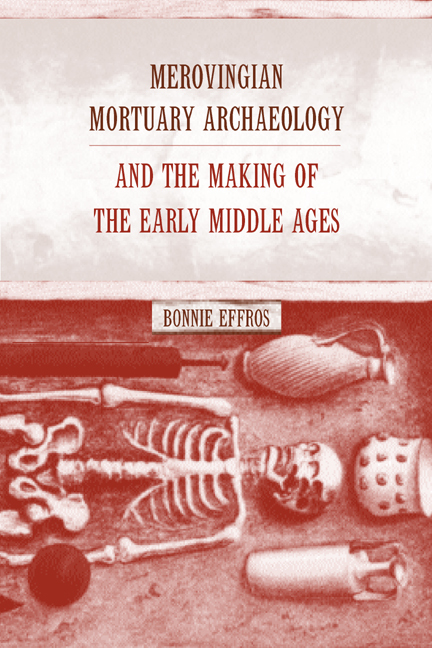 This authoritative book makes a major contribution to the study of death and burial in late antique and early medieval society with its long overdue systematic discussion of this mortuary evidence. Tracing the history of Merovingian archaeology within its cultural and intellectual context for the first time, Effros exposes biases and prejudices that have colored previous interpretations of these burial sites and assesses what contemporary archaeology can tell us about the Frankish kingdoms. 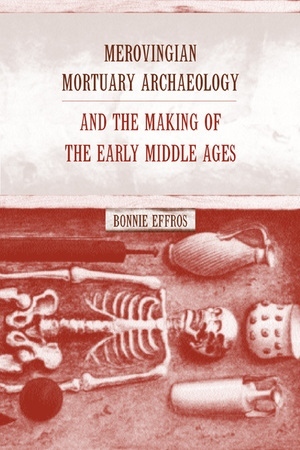 Working at the intersection of history and archaeology, and drawing from anthropology and art history, Effros emphasizes in particular the effects of historical events and intellectual movements on French and German antiquarian and archaeological studies of these grave goods. Her discussion traces the evolution of concepts of nationhood, race, and culture and shows how these concepts helped shape an understanding of the past. Effros then turns to contemporary multidisciplinary methodologies and finds that we are still limited by the types of information that can be readily gleaned from physical and written sources of Merovingian graves. For example, since material evidence found in the graves of elite families and particularly elite men is more plentiful and noteworthy, mortuary goods do not speak as directly to the conditions in which women and the poor lived. The clarity and sophistication with which Effros discusses the methods and results of European archaeology is a compelling demonstration of the impact of nationalist ideologies on a single discipline and of the struggle toward the more pluralistic vision that has developed in the post-war years. Bonnie Effros is Associate Professor in the Department of History at the State University of New York, Binghamton, and the Sylvan C. Coleman and Pamela Coleman Memorial Fund Fellow in the Department of Medieval Art at the Metropolitan Museum of Art (2001-2002). She is author of Caring for Body and Soul: Burial and the Afterlife in the Merovingian World (2002) and Creating Community with Food and Drink in Merovingian Gaul (2002). .